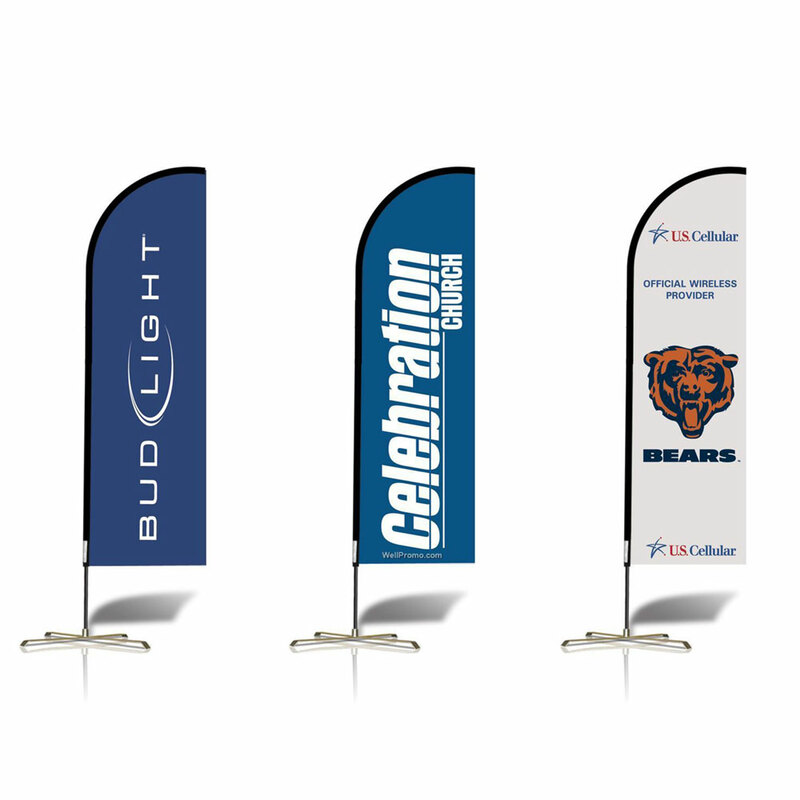 Logo flags provide the perfect opportunity to help increase your company’s brand awareness. 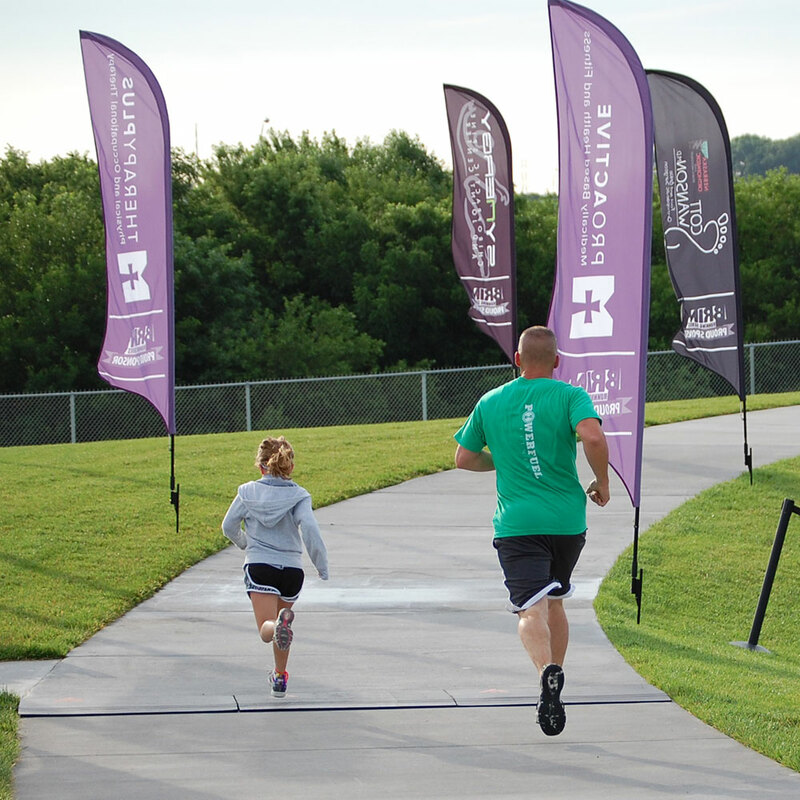 When it comes to marketing not many businesses think about using the great outdoors as their canvas but promotional advertising provides a great return on your investment. 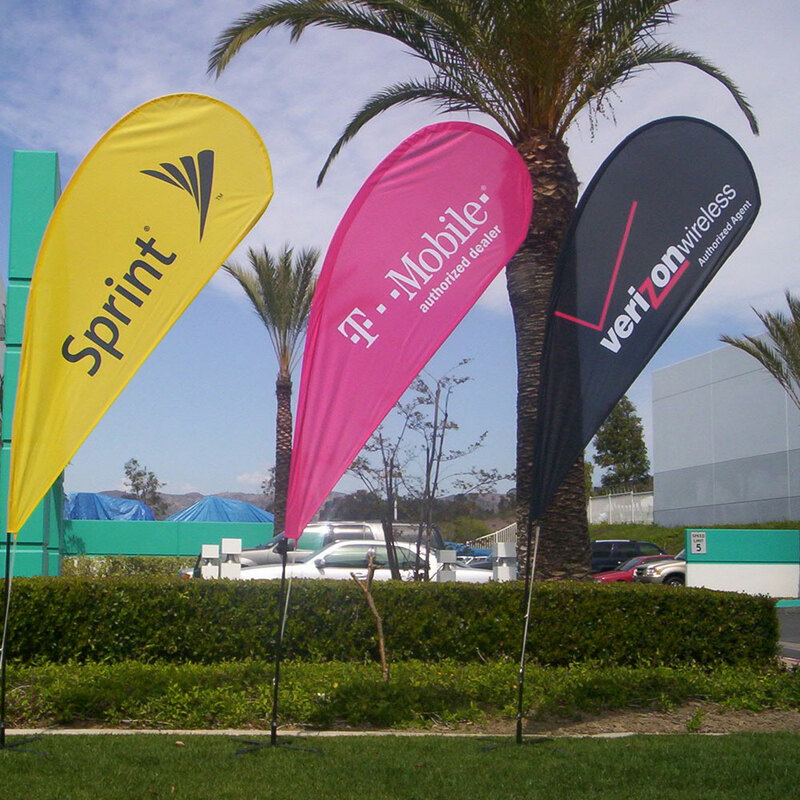 Promotional advertising flags offer a low cost way to promote your business and if these promo flags are designed correctly and placed within prominent high traffic area customers will surely take notice. 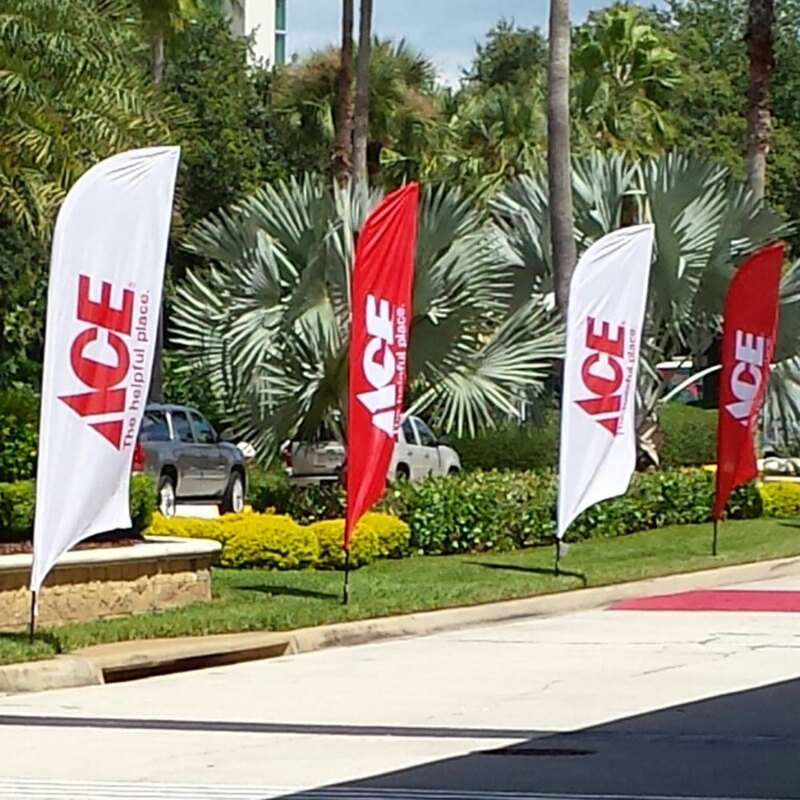 Our custom printed flags and promo flags are excellent ways to get your company message across. 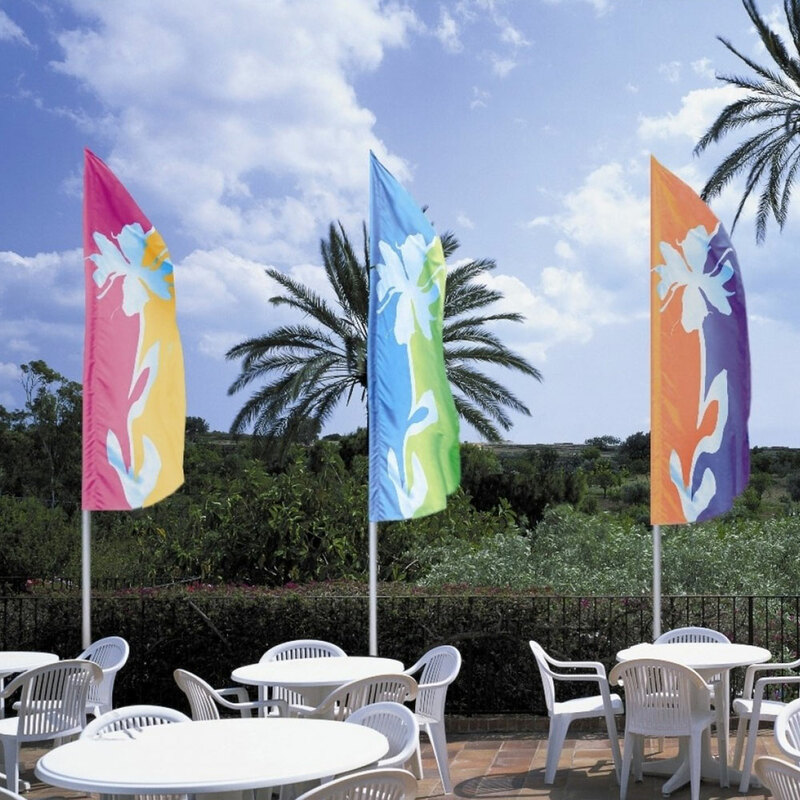 These feather flags can be printed to relay any pertinent information you’d like and are fortunately inexpensive to produce, as they usually are printed on polyester fabric. Not only do our outdoor display sign systems provide you with attractive marketing tools but they also display a sense of professionalism distinguishing you from your competition. 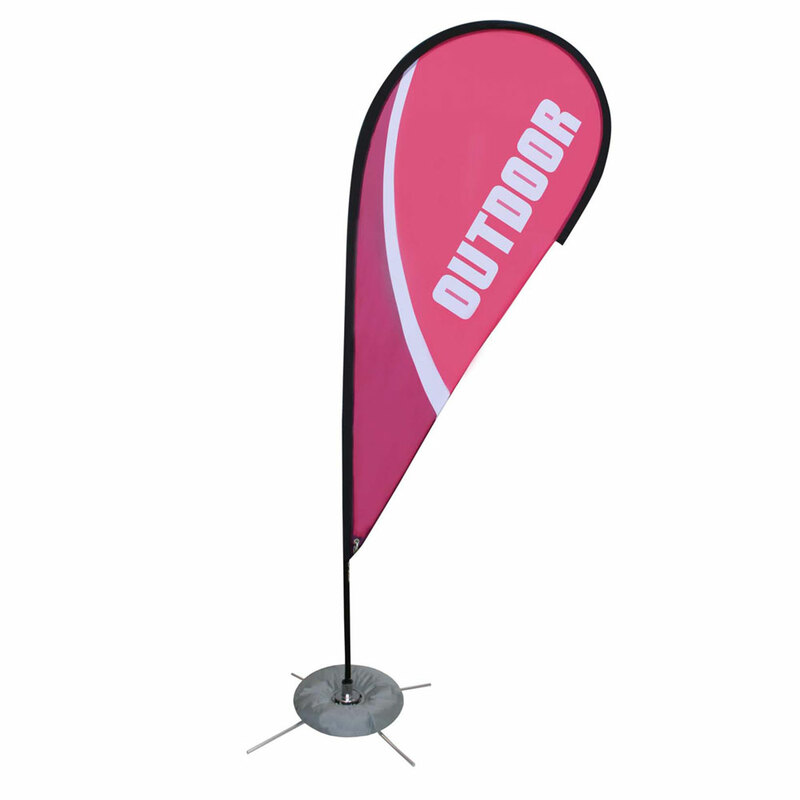 The feather outdoor banner stand is great way to display your brand. These signs are great for trade shows, store fronts, retail locations, and other outdoor venues. These are available in 10, 15, 17, and 20 foot models giving a variety of shapes and sizes for any type of event and when placed within a prominent high traffic area consumers will surely take notice. 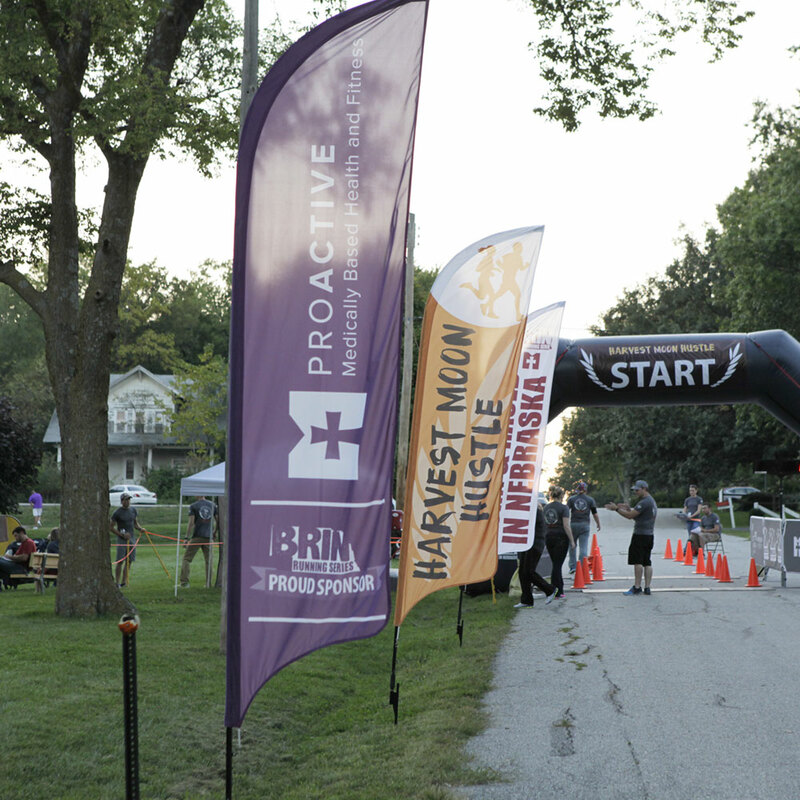 These Sail Banners can be custom-designed and printed for specialized events. 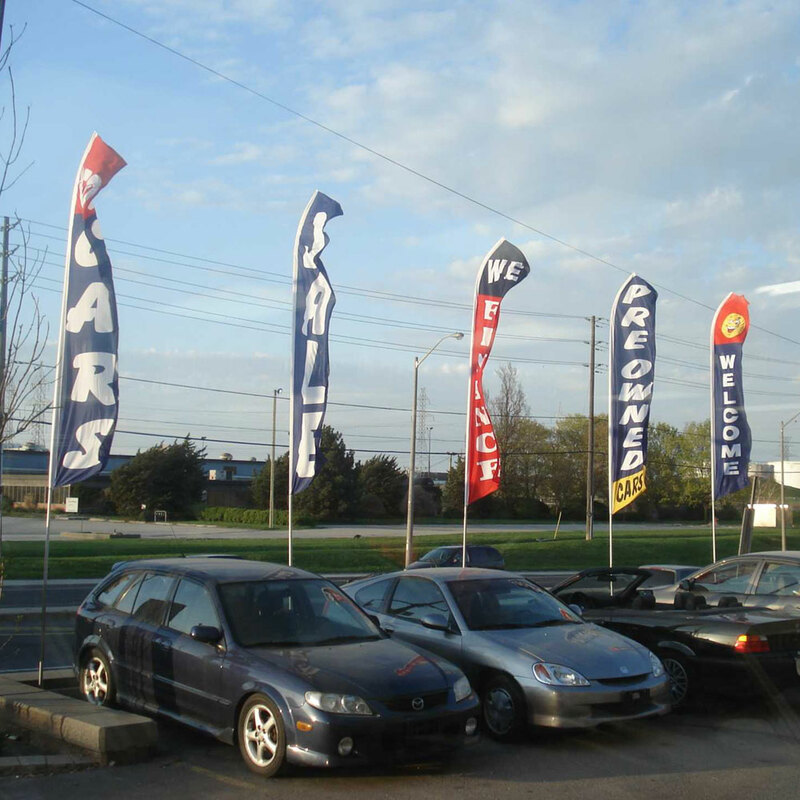 Use these sail sign banners for sale flags, special event flags or even parking flags. 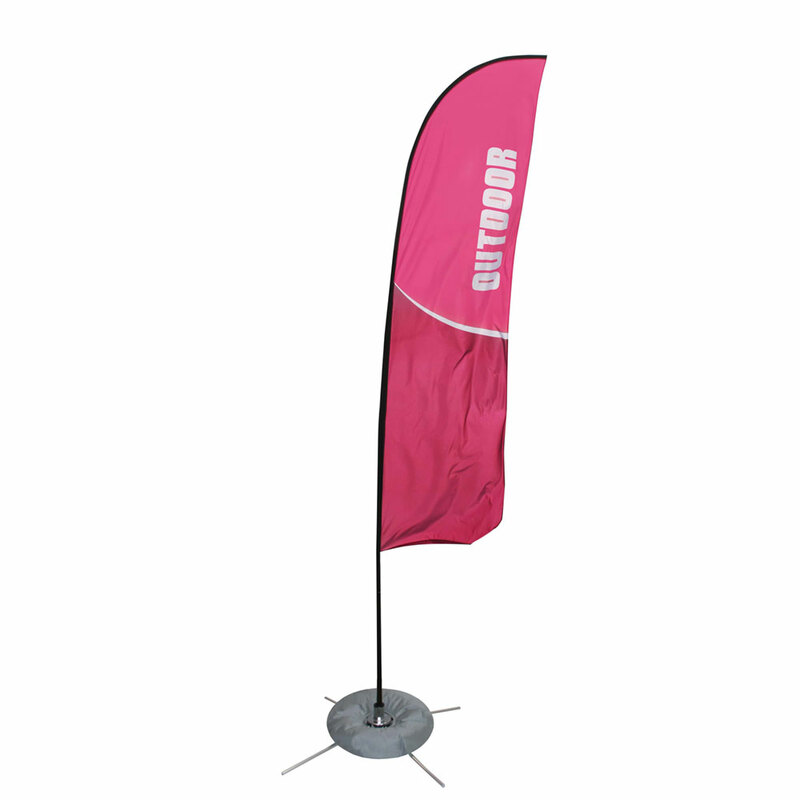 The optional printed graphics can be easily switched so you can re-use the Sail Banner stand for different events. 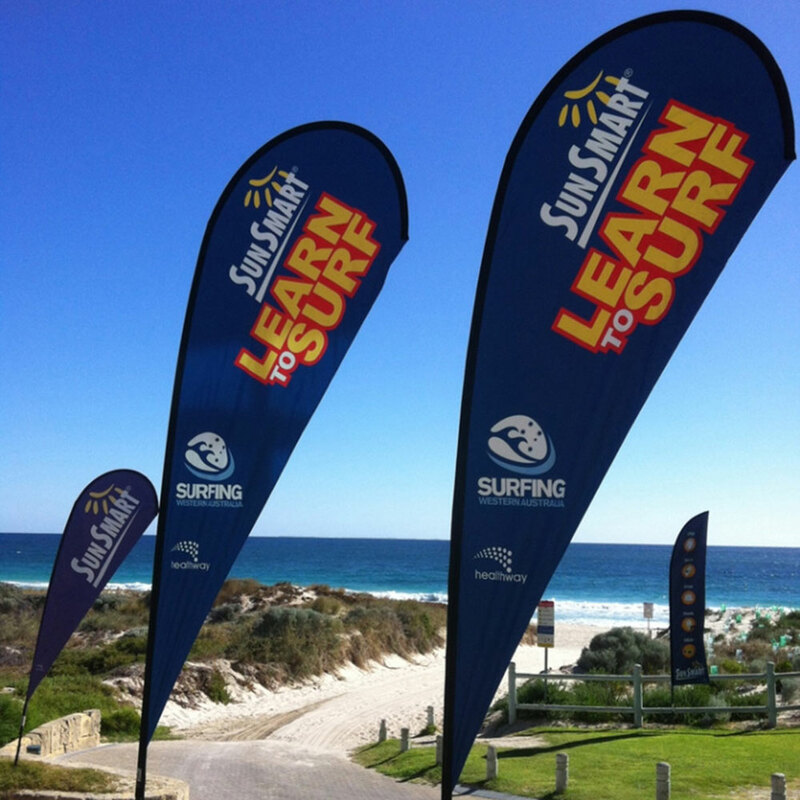 The Sail Signs Banner is a flexible solution to your custom flag needs, professional looking and easily readable. 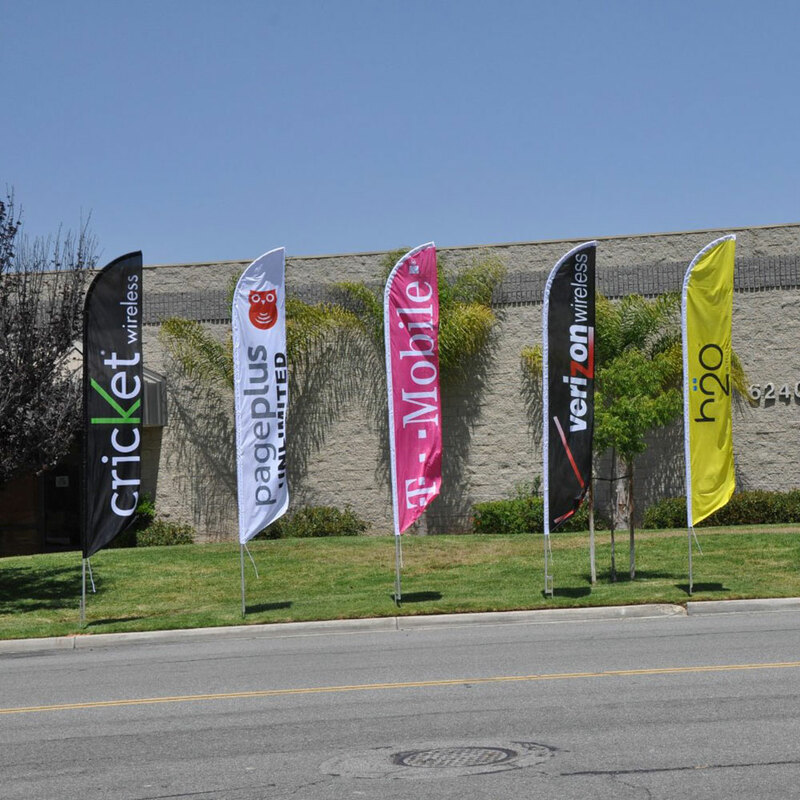 You don’t need to sacrifice brand or name recognition because only a temporary sign is needed with these fly banners! 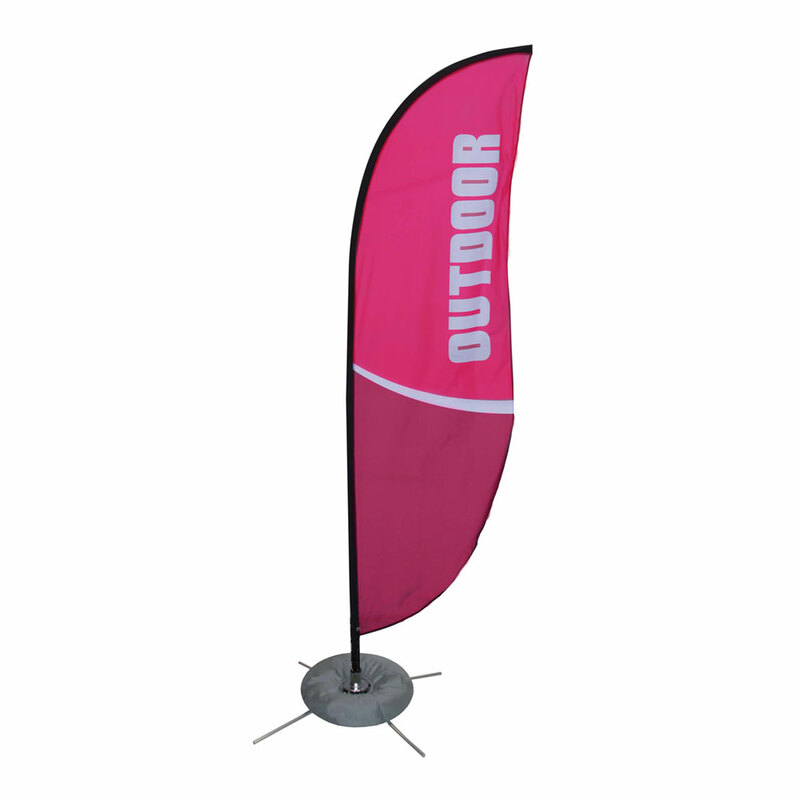 The Sail Banner stands come in sizes up to 20′ tall holding your logo and graphic flying as a banner high above the crowd. 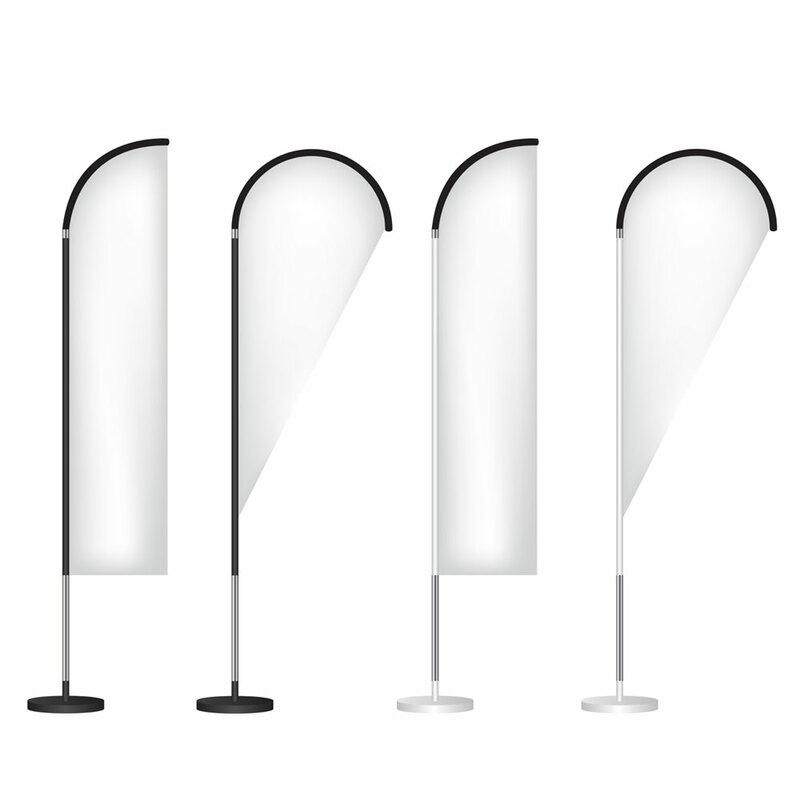 The sleek hardware allows your custom printed sale banners or event banners to twist and twirl with the breeze. 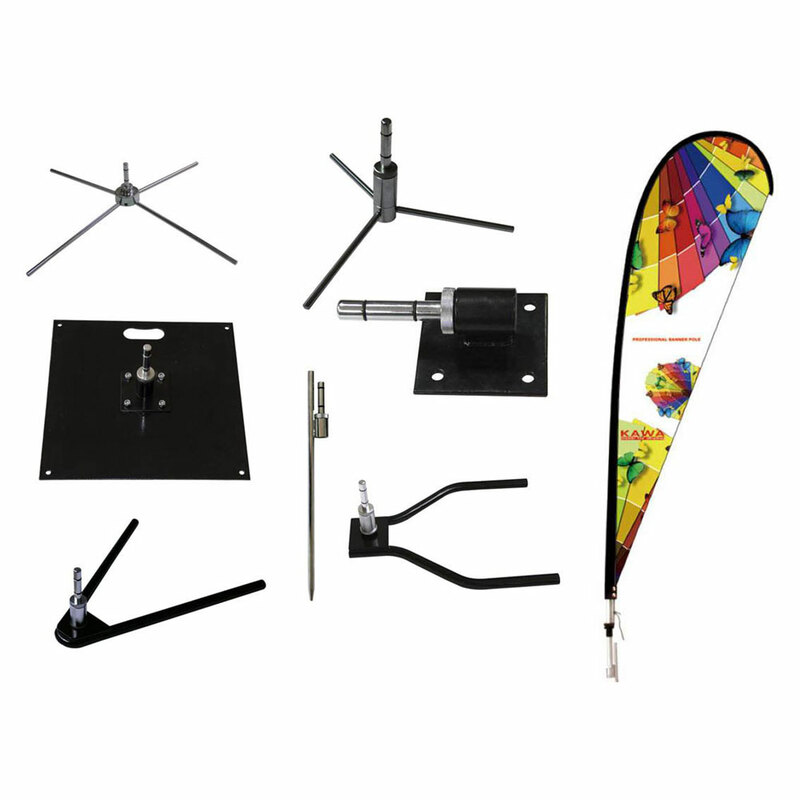 The fresh look of this banner stand will draw attention and hold it. 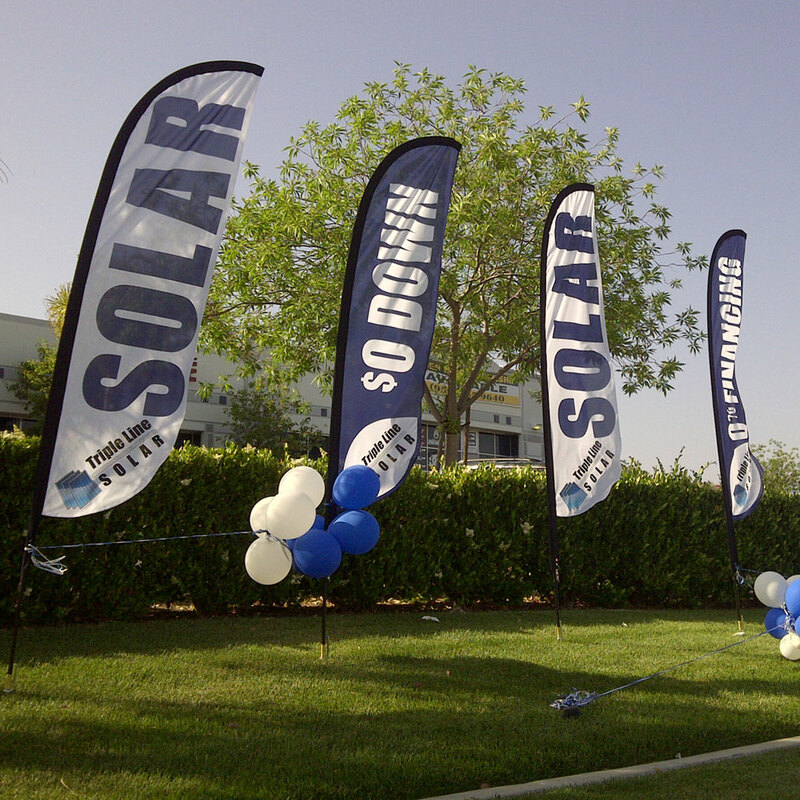 When you are ready to transport your fly banners, the Sail Banner can be packed in its carrying case and easily shipped to your next event or stored between events. The unit is easy to position, erect and remove. You can also switch out the graphics quickly and easily to increase the impact over time.